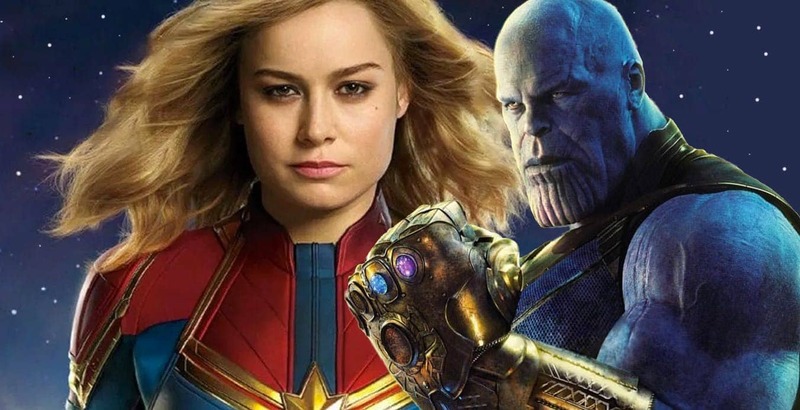 Many fans are still figuring out many aspects of Marvel’s upcoming Captain Marvel. However, one fan theory seems to have figured it all out. Captain Marvel will be sent back in time? Twitter user @JoepRijsman came across a theory from Joshua Munn. And while this theory is certainly complicated, it’s also pretty compelling. There are many moving parts, but quite a lot of it predicates on Thanos’ actions in Endgame. And if it’s true, Marvel is pulling a huge swerve on us having to do with Carol’s memories. So theory says that the Decimation affected Carol, but not how you think. Instead of fading away, she’s sent back in time with Talos. Talos isn’t struggling with memory issues like Captain Marvel. So, he has been working on initiating the Kree Skrull war while she’s preoccupied. He’s also trying to hold of the Tesseract before Thanos does. However, Carol stops that. “Talon’s plan was to cause the Kree-Skrull war and semi-Secret Invasion to get the cosmic cube/Tesseract before Thanos does to prevent the snap 25 years before it ever happens. But Carol kills him and Jude Law’s character (Mar-Vell/Yon Rogg) and prevents them from getting the Tesseract,” Munn writes. Captain Marvel releases next month. It further continues, and we see that it’s all part of the path Doctor Strange saw in Infinity War. That’s why she leaves Earth to avoid the Decimation and can put the plan in place to bring down Thanos. That’s why Fury calls her before fading away. This is also why he isn’t so shocked when it happens but is more rushed to page her. “Carol and Fury find out that Carol is actually a little girl during the ’90s and she leaves Earth because she would be jeopardizing her own existence and Dr. Strange’s plan to have them win which he tells Ancient One (he also goes back in time to make sure he becomes Dr. Strange by causing his car accident) and Carol gives Fury the pager telling him to call her only when Thanos does the snap, not sooner. Ancient One appears in the post-credits scene of Captain Marvel telling Nick Fury that Carol was telling the truth about Thanos and the snap but if he deviates from her and Strange’s plan they can’t defeat Thanos. She then gives him a folder called the Avengers Initiative featuring pictures of Tony, Bruce Cap, and Thor,” Munn writes. Also Read: MCU Fan Theory: Ragnarok Is Still Going On! Now while this just a theory, it sounds really compelling. It would also certainly explain why the trailers have been slow to reveal more footage. It would also explain how/why Fury is always one step ahead of all the heroes. Did Chris Evans Just Confirm A Popular ‘Avengers: Endgame’ Theory?